DARKE COMPLEX will release their full-length debut "Point Oblivion" through Spinefarm on October 21. The band has released the first song from the album in the form of "Void." The clip marks an intersection of music, fashion, and dark art. 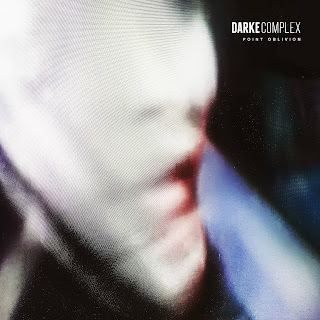 Darke Complex deconstruct and re-constitute an arsenal of genres into an intricate and infectious full-length debut "Point Oblivion." Distilling jagged alternative metal, booming trap-inspired production, electronic sheen, and hip-hop bravado into this landscape, the Houston, Texas-based quartet challenges the status quo for heavy music with a multi-faceted style, deep vision, and multicultural background. They're equally inspired by Slipknot and Linkin Park as they are by Travi$ Scott and Kanye West. First emerging in 2015 with their brash and brutal Widow EP, the group quietly built a fervent following, while garnering early praise from ARTISTdirect, New Noise Magazine, and more. They shut down their social media, unplugging in a world where it's seemingly impossible to do just that. The idea was to immerse themselves in the music. That's how "Point Oblivion" came to life. ocalists trade chilling bars before culminating in a sweeping and soaring refrain. 10/23: Dallas, TX @ So What Festival? !